Twinlab Genuine Grain Grown Brewers Yeast has been recognized as a storehouse of 100% pure natural nutrients without added vitamins or minerals. 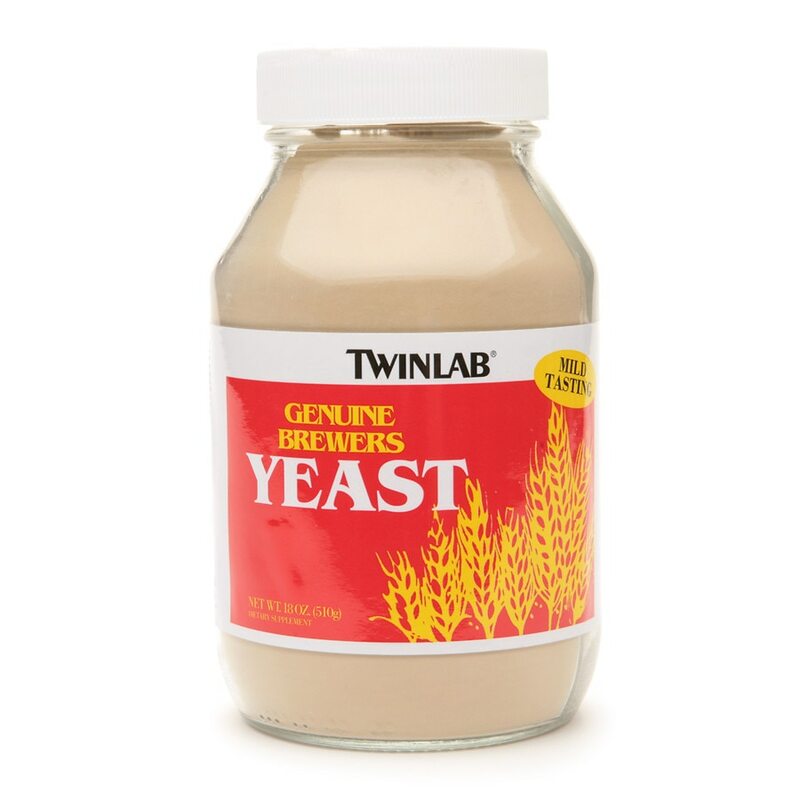 It should not be confused with "brewers type yeast" or "brewers molasses grown yeast" for these yeast are primary grown, whereas Twinlab Brewers Yeast is grain grown and is 100% genuine brewers yeast of superb quality and freshness. One heaping tablespoon provides 50% protein with all the essential amino acids, vitamins, minerals and trace elements. You can sprinkle it on food, use it as a seasoning or mix it with milk, juices, soups, gravies, and casseroles. Twinlab Brewers Yeast contains a low amount of calories and sodium for those on restricted diets. Twinlab Brewers Yeast also contains naturally occurring amounts of vitamin B-12, calcium, phosphorus, potassium, magnesium, copper, iron, zinc, manganese and chromium. Contains absolutely no preservatives, fructose, honey, sugars or any additives. The L-Tryptophan in the product is naturally present in the protein. It is not added or manufactured. Keep in a cool place. Best if used by date on bottle.